Aruka is an assassin for the Clan of the Sword. She's on a journey to find the woman Jin Valel, who killed her master Hon. Jin is a demon-like woman who controls the Energy of Chaos and kills without feeling - not unlike how Aruka has learned to kill in her work as an assassin. On her journey, Aruka encounters three strange women, each a great warrior in her own right and grapples with her slain master's wish that she leave the life of an assassin behind. 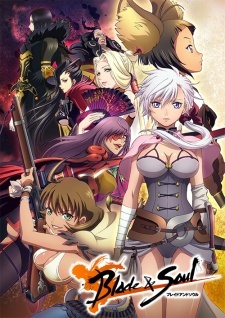 An anime adaptation of the Korean MMORPG, Blade and Soul. Watch Blade & Soul Episodes Online at Animegg.org. Blade & Soul is available in High Definition only through Animegg.org. Choose an episode below and start watching Blade & Soul in Subbed & Dubbed HD now.